Born in Calcutta in 1950, renowned film maker, Goutam Ghose started making documentaries in 1973. He took active part in group theatre movement in Calcutta and also dedicated some time as a photo journalist. He made his first documentary– New Earth in 1973 followed by Hungry Autumn which won him the main award at the Oberhausen Film Festival. He has since made ten feature films including Maa Bhoomi, Dakhal, Paar, Antarjali Yatra, Padma Nadir Majhi, Patang, Dekha, Abar Aranye, Gudia, Kaalbela & Moner Manush. He has made a number of brilliant documentaries including Meeting A Milestone (on Ustad Bismillah Khan), Beyond the Himalayas, Land of Sand Dunes, Ray (On Satyajit Ray), Impermanence (On HH Dalai Lama). His outstanding body of work has won him major national and international awards, which include 16 National Awards, the Silver Balloon Award at the Nantes Film Festival, the UNESCO Award at the Cannes and Venice Film Festivals and many others. He is the only Indian to win the coveted Vittorio Di Sica Award. Ghose was awarded the Knighthood of the Star of the Italian Solidarity in July 2006. Before she founded Daricha Foundation, Ratnaboli Bose’s career of 37 years had spanned systems analysis, technical writing, audio visual media and from 2000 - 2012, she was the web manager of the ITC Sangeet Research Academy website. Solely responsible for all aspects of the website including its design, content, research, music sourcing, sound edits and copyright issues, it was the popularity of the website that led her to conceive of a similar model for the hugely under represented wealth of India’s folk and tribal art forms. She left ITC SRA to start Daricha Foundation and to devote herself full time to the propagation of folk arts and artists through the Daricha portal. Jaideep Ganguli is a Management Consultant with nearly thirty years of experience including significant international exposure. Jaideep’s experience is mostly with leading Big Four firms in India – he had been a partner since 2000, first with PwC and since 2007 with Deloitte. He is currently a designated partner with Sumantrana Management Consultants LLP, advising and coaching start ups, and consulting with a number of corporate clients including the SREI Group of Industries, LabVantage and Bandhan Bank. Jaideep is deeply interested in the culture of Bengal and has been associated with events and documentary films on the subject. Prattyush Banerjee is a true 21st century musician, multi-tasking as performer, music composer-arranger, researcher and instrument designer. Among many innovative endeavours, he has remodeled the traditional sarode to a great extent and has also created its first electronic version, the jyotidhwani. He has been under the coveted tutelage of the internationally celebrated sarode maestro, Padmabhushan Sangeet-guru Buddhadev Das Gupta for over thirty years. 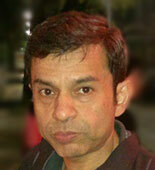 He was attached as a research consultant with the ITC Sangeet Research Academy and has published many articles on music. He has been honoured with the Sangeet Ratna Award in 2011. Subir Datta did his Masters in English Literature from Jadavpur University, Kolkata in 1968. After a brief stint of teaching at South Point High School, Kolkata, he joined the Department of English at Rabindra Bharati University in 1972. He went on to become the Head of the Department from 1996 to 1998 and retired as Associate Professor in 2008. Datta`s area of special interest is Theoretical Linguistics. Among his current interests is the social and cultural history of nineteenth century Bengal.He had carried out a survey with a co-investigator on the social needs of the English language among the rural and semi-urban population in the Jhargram sub-division in the erstwhile Medinipur district in West Bengal. The report was published in 1983. He has also co-authored a book on linguistics - `Linguistics for Literature`, published in 1999. Subir Das is a Chartered Accountant with almost 30 years of experience in India.He was the C.E.O. of a large Plantation Company in India and went on to start a consulting business in the area of Sustainable Energy. His special interests lie in the Policy, Regulatory and Legal framework for Sustainable Energy initiatives in India and financial modeling of Sustainable Energy Projects. Subir has been continuously involved with the renewable energy industry for over 5 years. He has given lectures on the subject in various forums and has been involved in diverse consulting assignments in the renewable energy space.He is a Member of the Institute of Chartered Accountants of India and an alumnus of St. Xavier’s College, Calcutta, India. He is a Board Member for several Public Sector Companies. Educated in Kolkata, Anandi Ghose has been associated with film since 2000. Since then, she has been wearing multiple hats styling sets, designing costumes, assisting the director and finally moving on to make her own films since 2005. She has also dabbled as an actor and has started her own film production outfit in 2012. 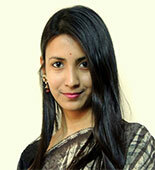 Anandi has also worked in theatre with Dr Ananda Lal. Her interests are in photography, travel, music and reading and cooking. 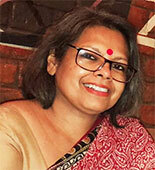 Passionate about folk handicrafts, Radhika Gupta has been working with social andcultural issues since the 90s. She has been involved in numerous women and childcentric projects as researcher, coordinator and manager and played a major rolein the startup of Kamala, the craft outlet of the Crafts Council of India at Kolkata.From 1993 to 2003, she ran her own craft shop, Habitat, Kolkata’s first lifestylestore for Indian handicrafts & home accessories. Prosenjit Das Gupta was born in Calcutta in 1944 and was educated at St. Xavier’s Collegiate School and at Presidency College. He worked in commercial organisations in various capacities from 1966 to 2008. As a result of his deep interest in wildlife and tribal and folk culture, he extensively toured the tribal areas of Bastar and Odisha between 1970 and 1984, studying local folk cultures, making black and white films on folk customs and audio recordings of folk music. He donated his collection of Dhokra craft of Bastar to the Gurusaday Museum in Kolkata. His interest in Baul songs and rural crafts started in the mid 1950s. He visited Santiniketan often during his youth and saw and heard the Bauls of old, beginning with Nabanigopal, father of Purnadas; he later recorded Kalachand Darbesh and other Bauls in the 1980s.He recorded Lai Haroba of the Manipuris when the troupe came to Calcutta in 1984 and also the Chadar Badni of the Santals. In recent years, he has also travelled to Kerala and north Karnataka, where he recorded Theyyam and Yakshagana, respectively. A researcher and author on conservation issues and folk culture, he has authored articles and books on a range of subjects including Calcutta, his travels to tribal India, wildlife, common forest trees, economic change in India and political discourse in India. Das Gupta is a Life Member of the Asiatic Society of Bengal, Crafts Council of West Bengal and Bombay Natural History Society. Aishani Gupta is currently pursuing PhD in History at Stony Brook University, USA. Her research interests are Sufism, sacred spaces, shrines and postcolonial cities. She is also interested in cultural and architectural conservation. Dr. Banhi Chakraborty, a PhD holder from the Indian Institute of Technology, Kharagpur went on to teach at her alma mater. With 35 years of teaching and research experience, she has recently retired as Assistant Professor, Architecture & Regional Planning. Her areas of specialization are Poverty, Transfer of Technology, Consumer Welfare and Women`s Empowerment. 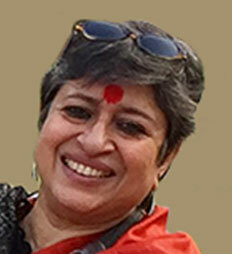 She has conducted several sponsored research projects including the Design and Development of Pedal Driven Potter`s Wheel (patent pending), Development of Cost-effective Moulding of Brass and Bell-Metal Wares and Improvement in Livelihood Status of Pata Chitrakars of Bengal: Harnessing of Natural Resources. She also has numerous publications to her credit. Dr. Chakraborty continues to be active in educational, environmental and social projects. Dhritiman Das is a Kolkata based musician and editor who is interested in folk and tribal culture. He mostly edits documentary films. Art and culture have been part of Sharmila De`s interests and hobbies. Being extremely fond of handicrafts, she feels Daricha is an ideal platform to explore the world of handicrafts and folk culture. Sharmila also works for the welfare of women and children. Smriti Gupta is a graduate of Government College of Art & Craft, Kolkata, with a B.A in Humanities from Calcutta University. She has spent over 40 years working with arts and crafts. After completing art college, she started her own design enterprise , following which she joined Ananda Designs as a textile designer. Later, along with her artist-designer husband, the late Abhijit Gupta, she began to devote much of her time travelling around West Bengal, collecting, studying and promoting indigenous arts. In the process, she started a gallery called Smriti’s Collection. She and her husband were also closely involved with the late Probhas Sen in setting up Karu Angan, a museum of the crafts of West Bengal under the aegis of West Bengal Handicrafts Development Corporation.